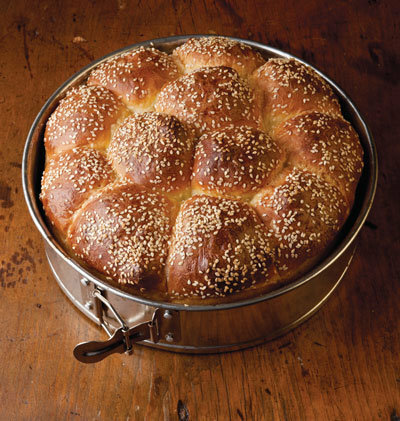 There was something about the simplicity of this recipe, not to mention the photograph that got me up and out of bed at 6:00 AM on this Saturday morning, into the car and down to the grocery store by 6:30 and back home and “aproned” by 7. What a morning! Everything worked perfectly. Well, nearly perfectly. I forgot the salt and noticed that right away when I bit into the first little pillow of happiness. So don’t forget the salt when you do this. 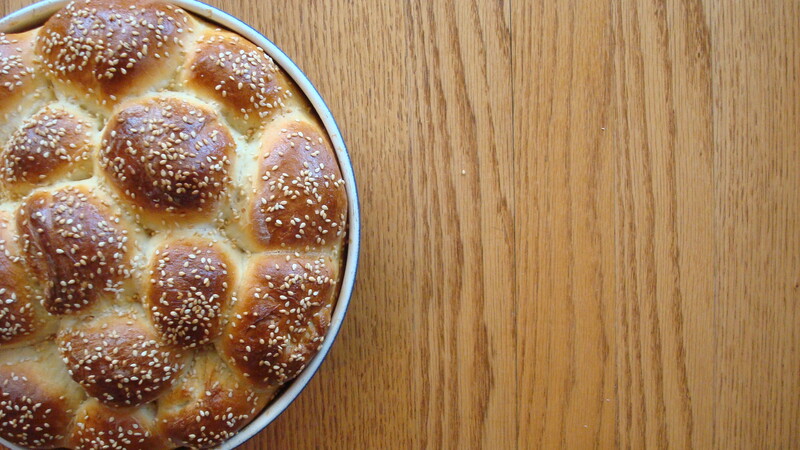 These soft, sesame seeded dinner rolls are based on a popular recipe on the baking website www.thefreshloaf.com. So give this a shot. I hope your kitchen smells as good as mine does. 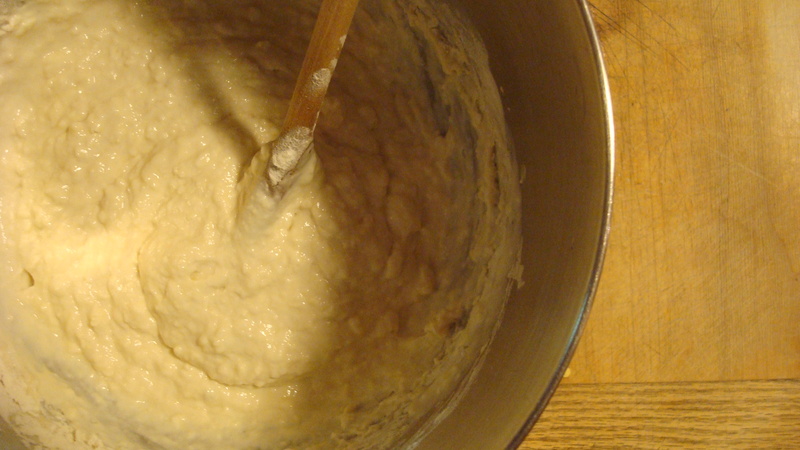 In the bowl of a stand mixer fitted with a dough hook, combine yeast, sugar, and ¼ cup water heated to 115°; let sit until foamy, about 10 minutes. 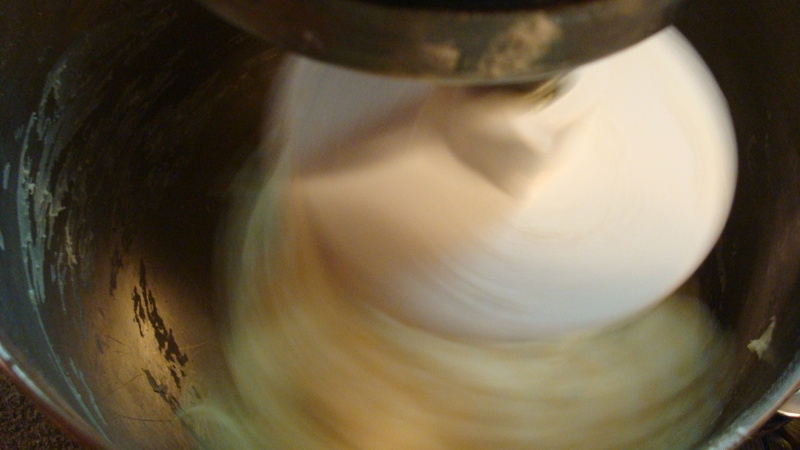 Whisk in buttermilk and honey; add flour and salt. 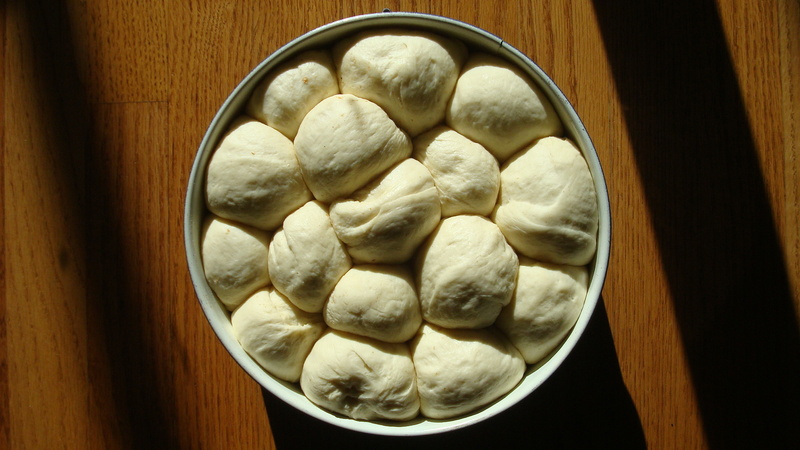 Mix on medium-low speed until dough forms a ball and pulls away from the side of the bowl, 6–8 minutes (sprinkle in a little water if dough seems dry). 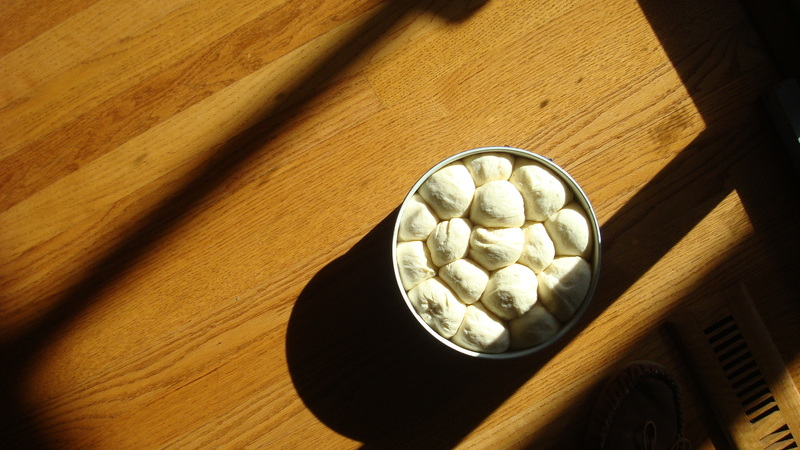 Cover bowl with plastic wrap and set aside in a warm place to let dough rise until doubled in size, about 2 hours. Heat oven to 400˚. Grease a 9″ round springform pan with butter. 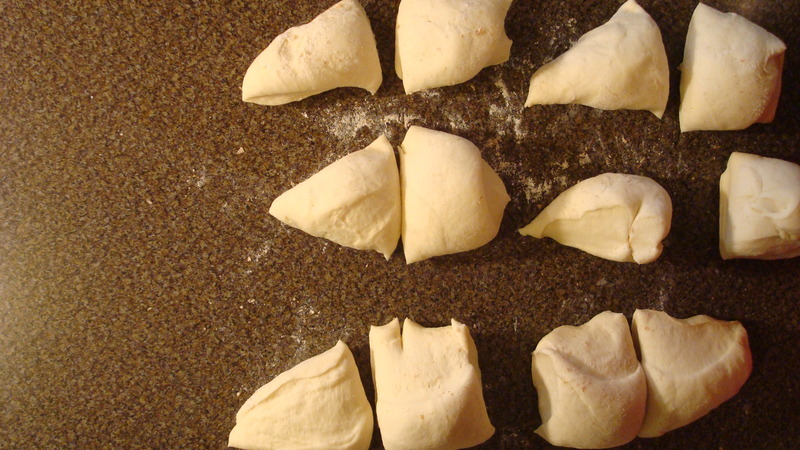 Uncover dough; divide into 12 portions. 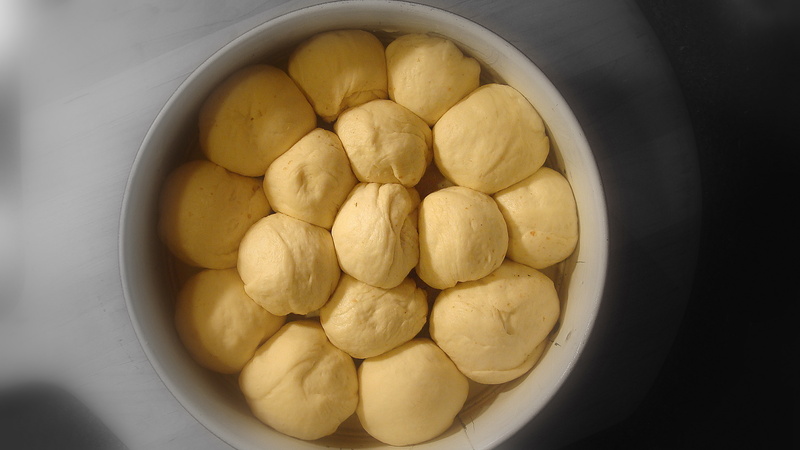 Roll each dough piece into a ball; transfer ball to pan; repeat with remaining dough. Cover pan with plastic wrap and set aside to let dough rise until doubled in size, about 1 hour. 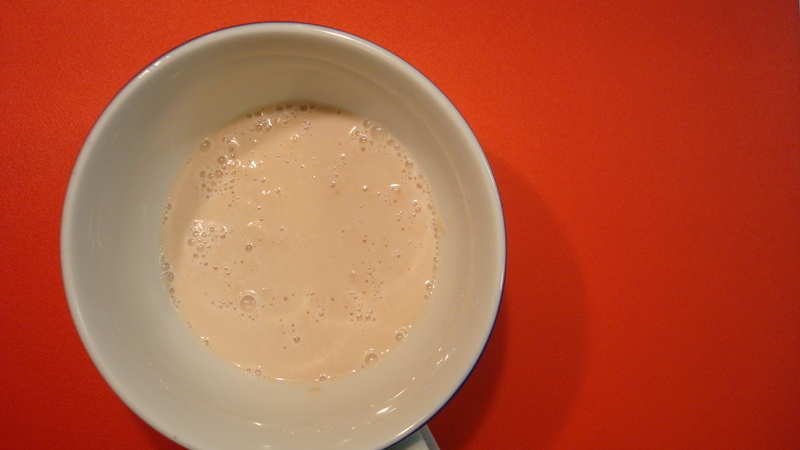 In a small bowl, whisk together egg and 1 tsp. water. 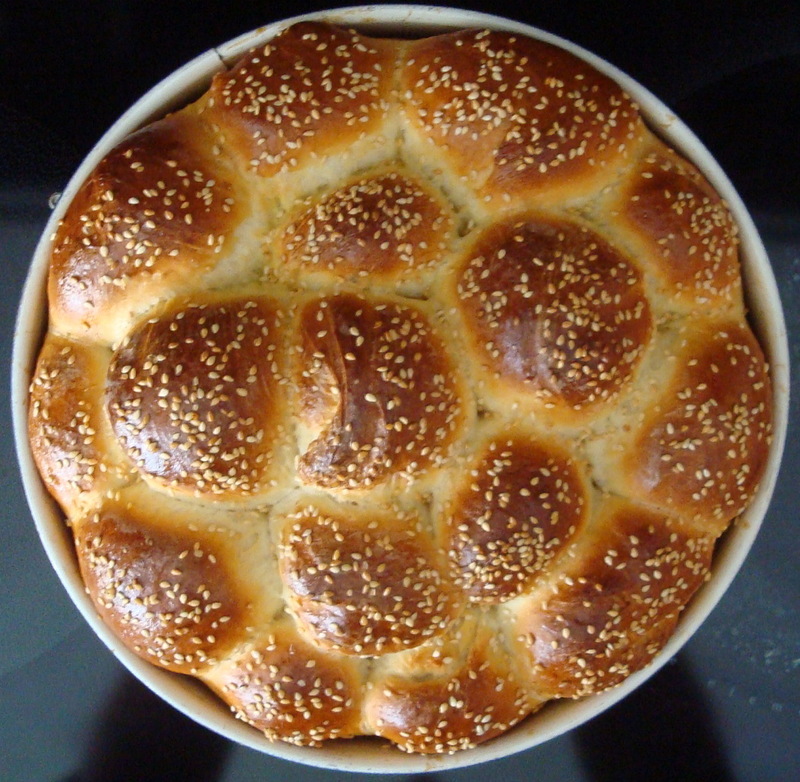 Uncover dough and brush egg mixture over the top; sprinkle with sesame seeds. Bake until golden brown and an instant-read thermometer inserted into the center of dough registers 190°, about 35 minutes. Transfer to a wire rack and let cool for at least 15 minutes before serving.